St. George's Day Flags are perfect to show your support this year for St. George's Day. 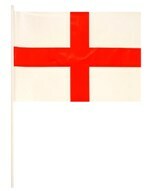 Choose from various sizes and either hang them as a St. George's Day decoration or give out hand held flags to wave. 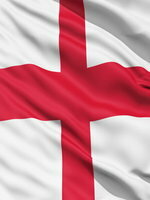 Please call our team on 08453 31 34 31 for information on any St. George Flag.